Yes, that’s right, two Christmas posts in one week. I’m on a roll, and Christmas is in the air early this year. 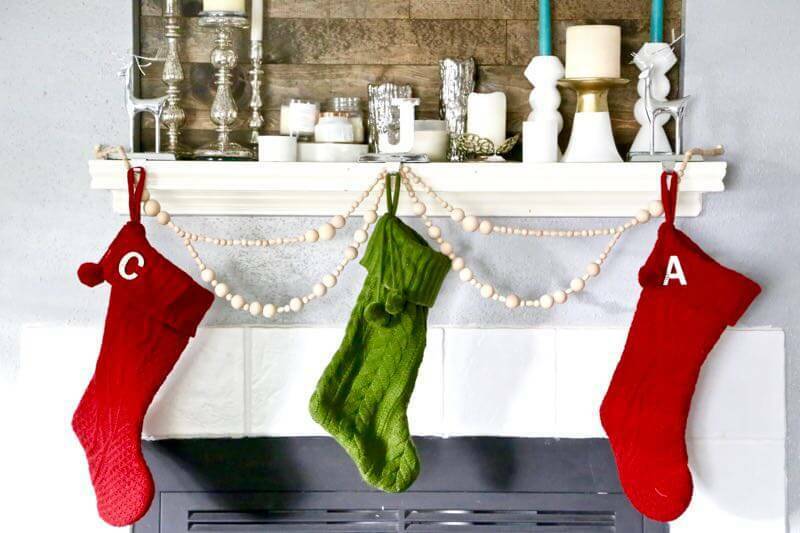 I’m so excited to be participating in another round of the Handmade Holidays blog hop today and we’re chatting all about DIY holiday decor. 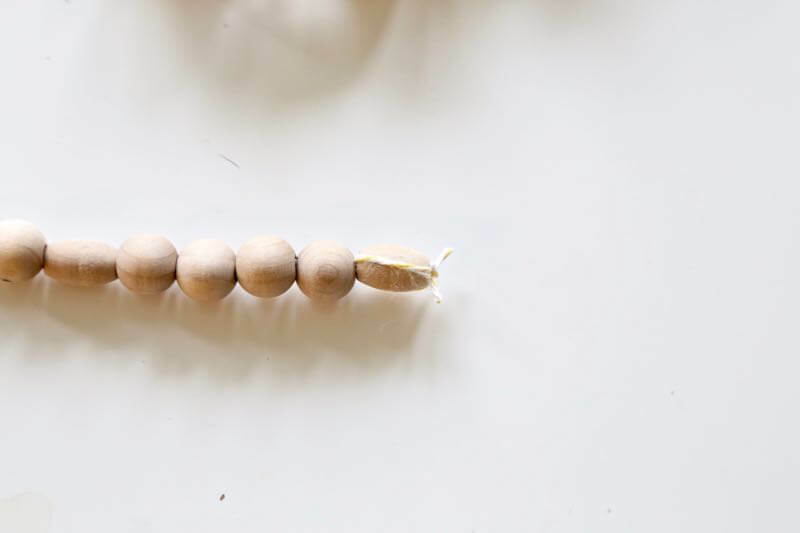 I made a gorgeous wood bead garland and it’s got me swooning all over the place. 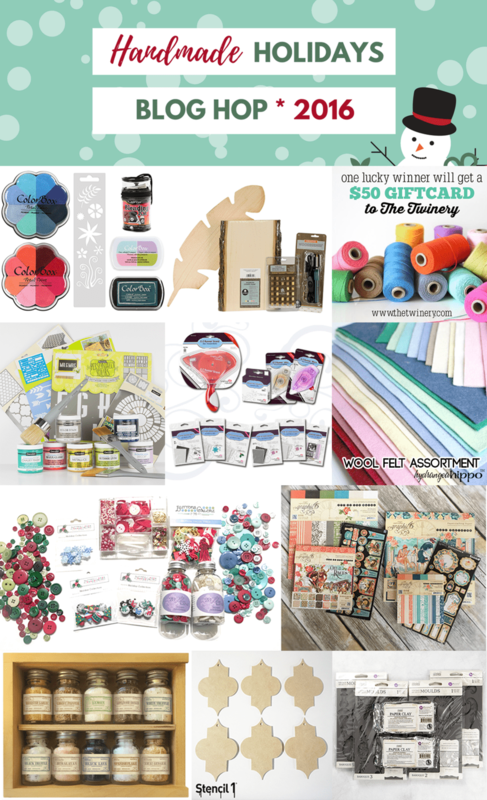 You know the drill – if you want to see all of the other awesome projects in this hop, just scroll down for all of the DIY goodness. 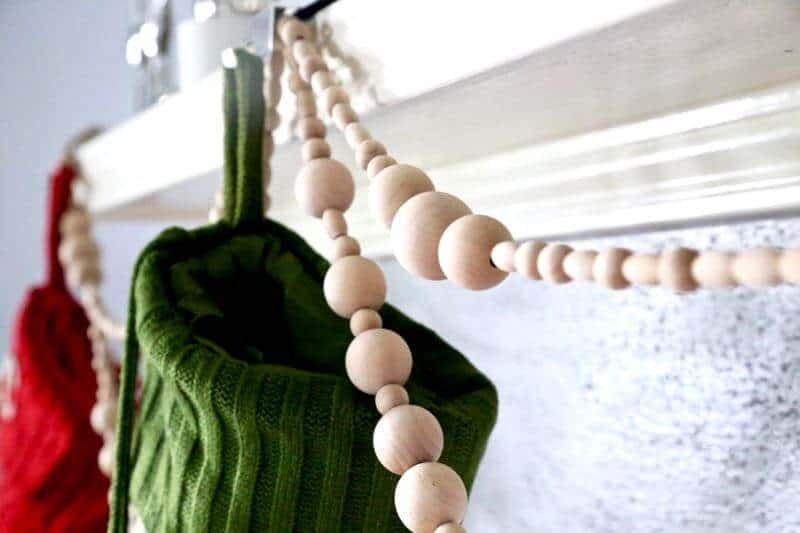 This garland is so easy to make but it looks so fancy. I’m in love, y’all. I’m really tempted to leave this little area of our house decorated like this right up until Christmas, but I know it’s more special if I wait so I’ll be undecorating later this week and eagerly awaiting the time to pull this lovely garland right back out. I’ve always been a fan of pretty garlands for the holiday season, but I really prefer fresh greens to fake and they don’t last all that long. 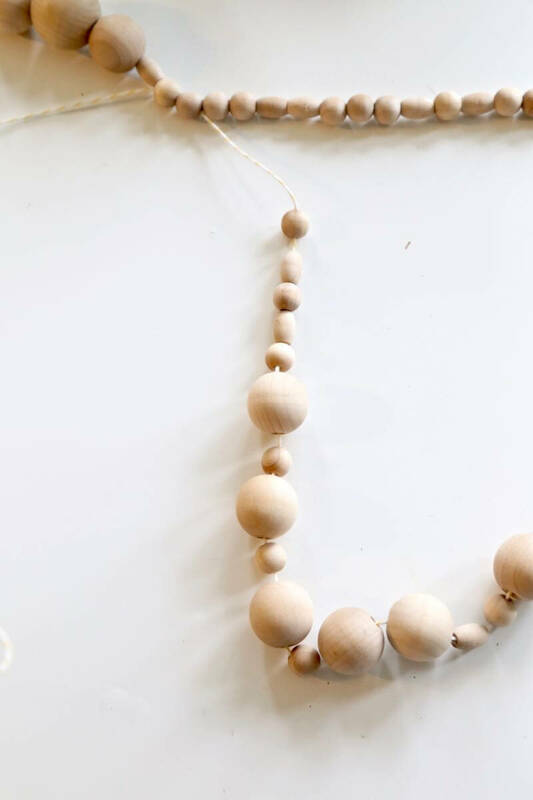 I’ve wanted to make my own garland that would actually last through multiple years for a while now, and wood bead crafts have been calling my name for quite some time. And that, my friends, is how this idea was born…and I’m oh so glad inspiration struck, because I can’t get enough of this beauty. I know you’re dying to know how I did it, so let’s jump right in, shall we? 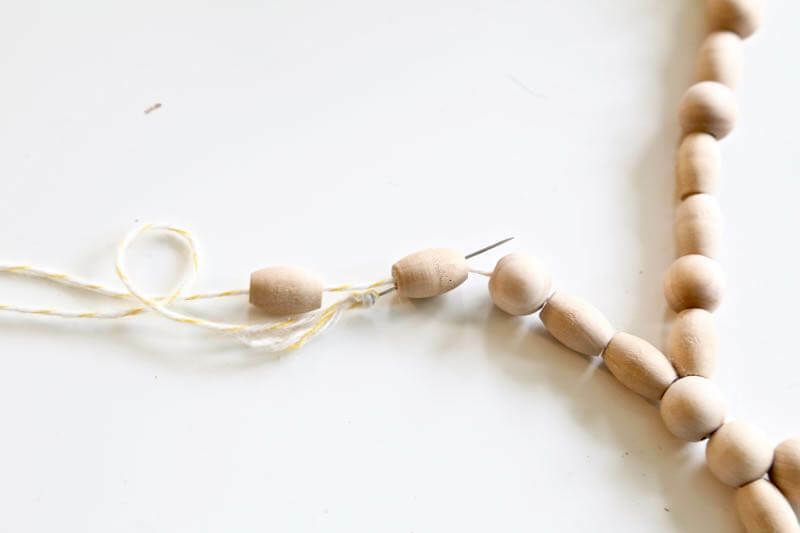 Start by threading your twine or string through a needle – or, if you’re like me and can’t for the life of you find one, just tie it around a straight pin. 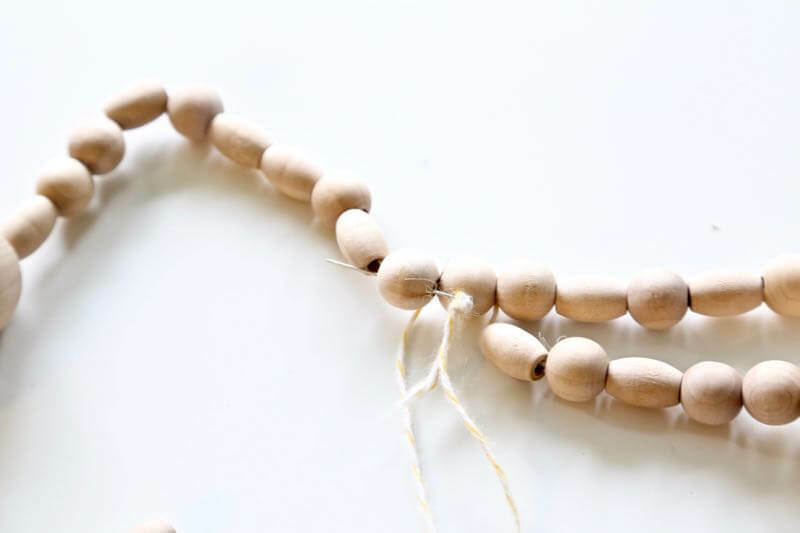 Begin stringing your beads onto the twine. I went for a more random feel for mine, but there’s still some structure to it – I did 20 small beads, then 3 large ones. There’s no pattern within the small beads though, I just grabbed and threw ’em on. Continue threading your needle back through the beads until you get to where you want your first scallop to be. 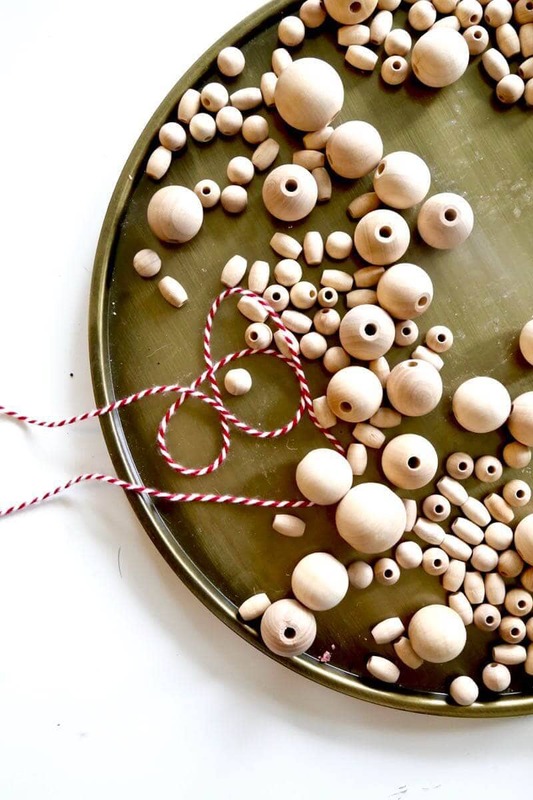 Then, grab some more beads and start stringing! 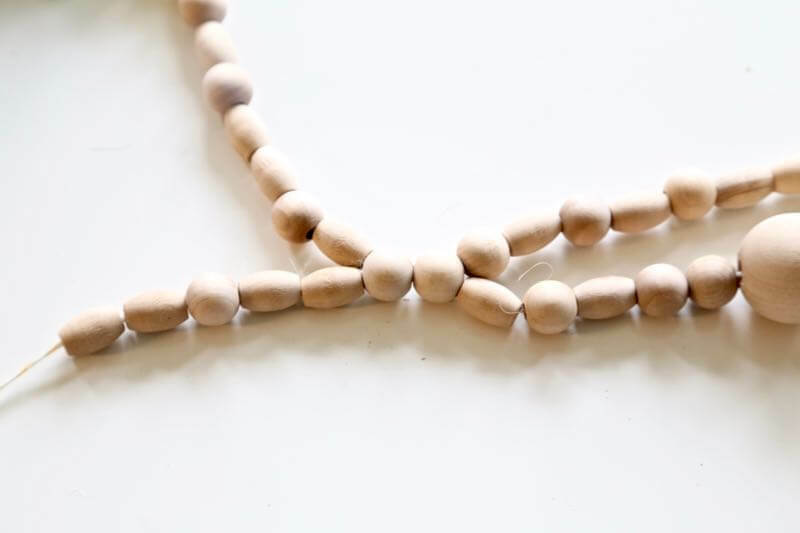 I had to go through some trial and error here to figure out how long I wanted each scallop to be…don’t stress about it too much because it’s really quick to take the beads back out and re-do anything. I would know. Continue with whatever pattern you like (I did more large beads on the scallops, but kept to a really random pattern) until your scallop is the desired length, then bring it back up to the garland where you want it to re-attach. 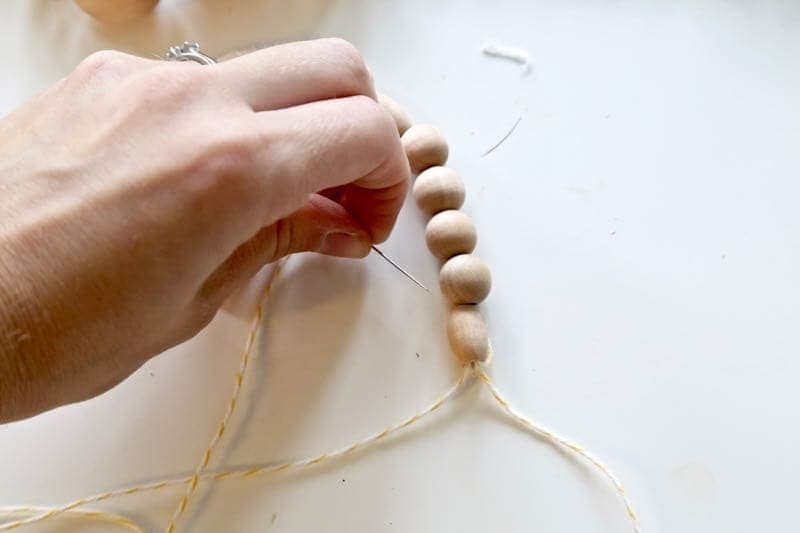 Thread your needle through one of the beads and continue going. 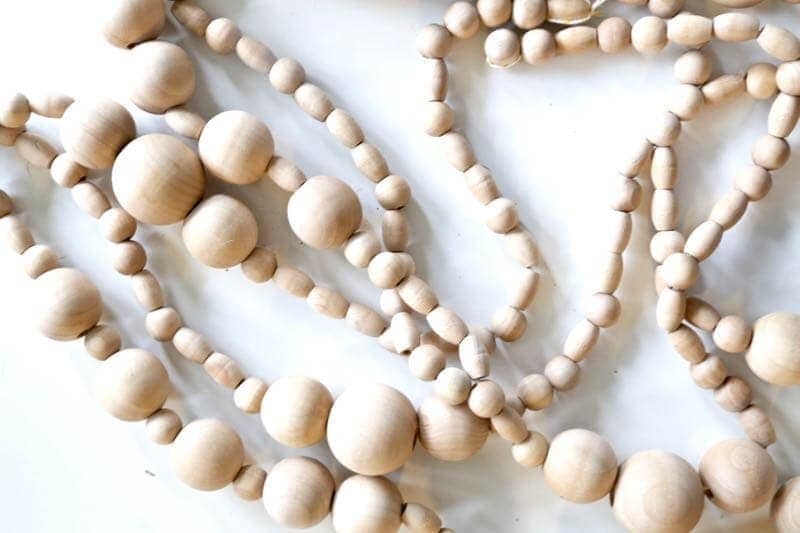 My scallops are right next to each other, so I only threaded my needle through two beads before I started the next one – yours may be longer, just depends on the design you choose! 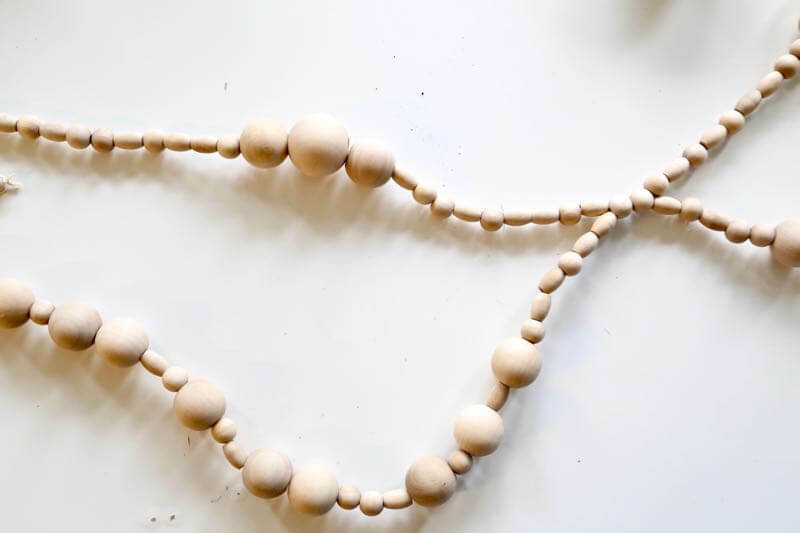 Ths sky is the limit with how you design these things – you could do multiple rows of scallops, you could just have pieces that drop straight down, or you could create a double stranded garland. So many options! I made a second garland (that will make an appearance in a post I have coming up soon) with little twine tassles throughout it, too. I wasn’t sure where I wanted to hang this, but decided to try it out on the mantle and I absolutely love it there. I worried it would compete with the stockings, but it actually looks like it was made to go there, and it makes me so happy. I decided to style the mantle with basically every single candle in my house – there’s just something about a crap ton of candles that makes you feel like it’s Christmastime, right?! Plus, I like how they provide a nice neutral-ish backdrop and let the garland shine. 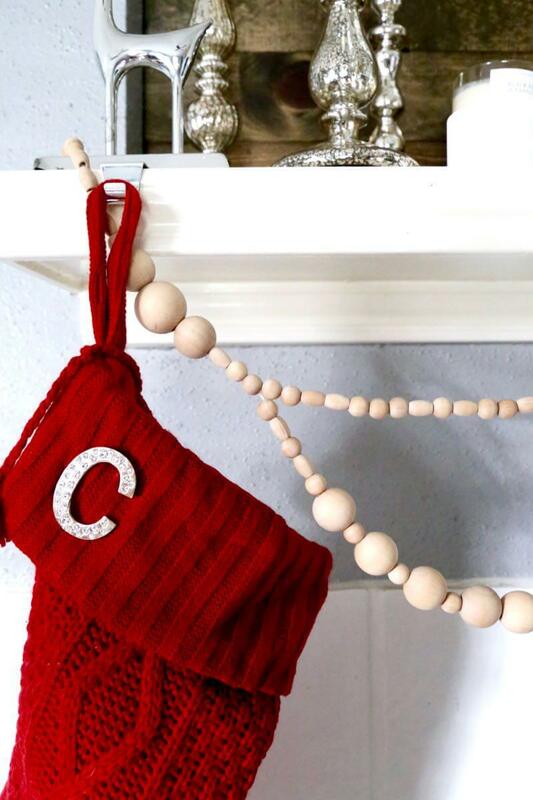 This little project got me so excited to bust out all of the Christmas decor in a few weeks. Can you even believe it’s almost time?! Okay, NOW it’s time to check out all of the other amazing projects in this little hop. 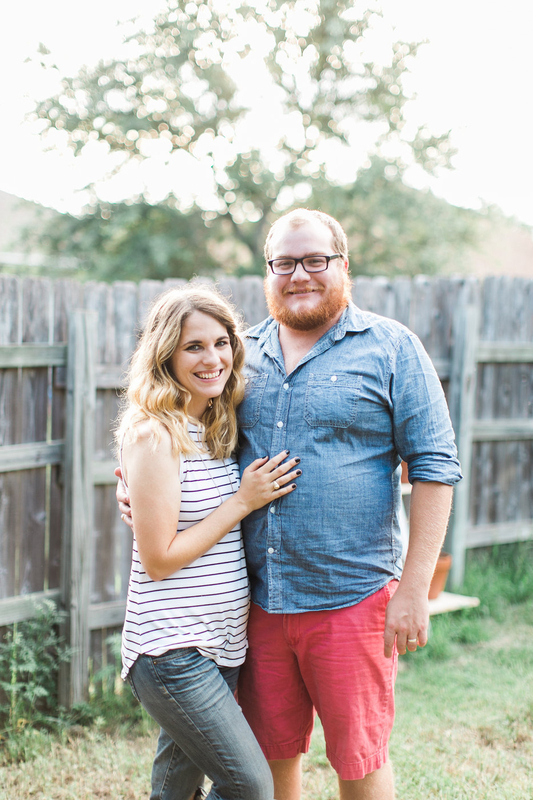 There is so much inspiration to be found in these posts, and I can’t wait to comb through them all! A big thanks goes out to all of the sweet brands sponsoring this hop! I didn’t work with any of them for this post, but there are some fantastic companies represented here. LOVE your deer! Do you mind me asking where you found it? Thanks! 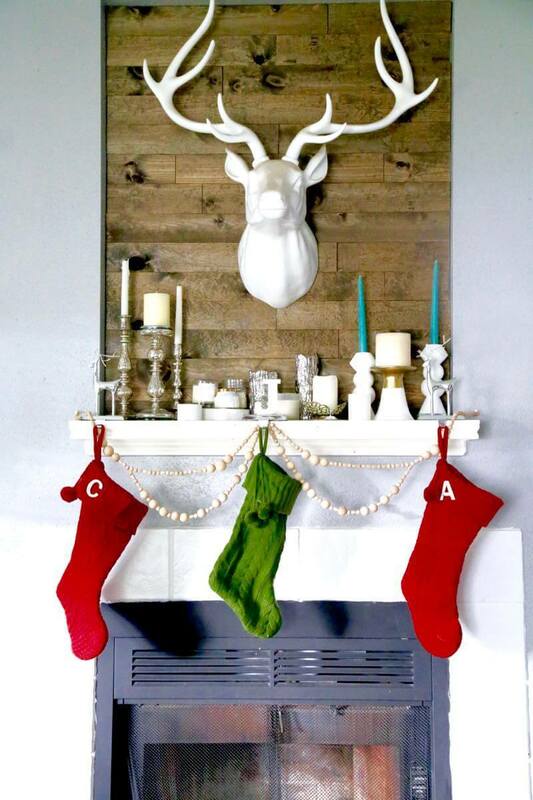 Our deer from Z Gallerie – you can see it here. I love how unique this garland is! 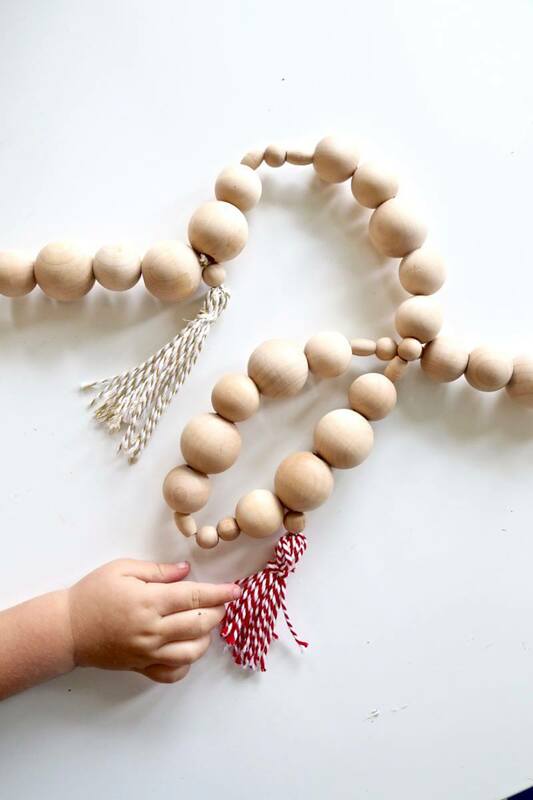 Love the wooden beads with the twine.